Contested divorces are complex and expensive, but they are necessary when the couple cannot agree on the terms of the divorce. When one spouse files for divorce but the other is not in agreement, the divorce becomes contested. No matter the cause, contesting a divorce cannot prevent the divorce from eventually being granted, it can only delay and draw out the proceedings. During a divorce, it is the burden of the plaintiff (the partner that filed for divorce) to provide the proof required to satisfy divorce requirements. The defendant (the partner being divorced) can contest the divorce, impacting judgements of child support, alimony, and property division. To contest a divorce, the defendant will include the contestation in their counterclaim to the divorce petition. 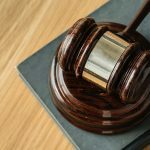 It is important to voice these concerns before the divorce is granted because once the divorce is finalized, you cannot contest the judgements. Consulting with an attorney is always advised in uncontested divorces to ensure your counterclaim is properly filed and contains all of your demands. When one party files a Complaint for Absolute Divorce, the other party 30 days to file a counterclaim. 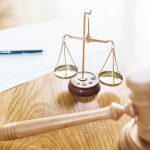 If the Complaint for Absolute Divorce goes unanswered, the court considers the divorce uncontested and proceedings will continue with the demands the plaintiff has put forth. Filing a counterclaim allows the defendant to put forth their own demands and asks the court to decide the outcome based on the information presented in the original petition and counterclaim as well as the information that will be presented when the case goes to trial. Unlike uncontested divorces, contested divorces will go to trial. This lengthens divorce proceedings and requires each party to hire an attorney to provide legal counsel. Because of this, contested divorce is the most complex and expensive type of divorce. Don’t let the cost of a lawyer or the time spent in court dissuade you from contesting a divorce. If you disagree with the demands put forth in the original complaint for divorce, you have every right to contest them and put your own demands on the table. At The Doyle Law Group, we work to simplify the contested divorce process and get the judgements our clients deserve. To learn more about our services or to schedule your consultation, call (919) 301-8843 or complete the form below. Can You Get an Uncontested Divorce Without a Lawyer?